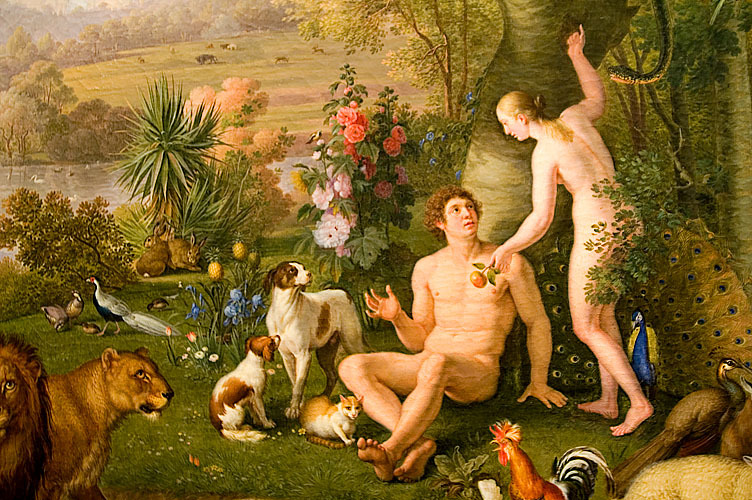 Adam and Eve…were they the end of human creation? The men who attempted to capture the word of God onto papyrus made a mistake. Even “exploratory surgery.” The mind boggles. Furthermore, not a single one of these diagnostic techniques existed prior to the 19th century, leaving one to wonder how intersex persons would have been treated by this author for the 1,800 years after Christ was born. I suppose they could just murder the intersex person (as was frequently done) and perform an autopsy. Or worse, a vivisection. And some wonder why transgender persons fear some religious adherents. So we are left with a statement in Genesis 1:27 which is either unworkable or else in error. Or even still, Christians could resolve themselves that “it was true at the time, but things changed.” After all, (most) Christians no longer follow many of the laws in Deuteronomy and Leviticus, so are we to assume that the Bible was wrong? Or rather, that God intends for mankind to change and grow and – dare I say it – evolve whilst on his earth? Strictly speaking, some argue that since transsexuals purposefully sterilize themselves, they are not being fruitful and multiplying on the earth. Those who argue this haven’t really thought this through, as many places in the Bible it’s mentioned that celibacy and even virginity are valued, and indeed there are entire branches of Christianity which demand celibacy of their priesthood, and monasteries and convents are filled with celibate humans who are (presumably) accepted by God. Moreover, this verse would indicate that those who are sterile from birth are somehow in violation of this implied directive of God. More progressive readers of the Bible take this verse to mean that in general our society should advance in these ways, but not necessarily every single individual person. O’Clock, James W. “Human Sexuality – Anything Goes?” Understanding the Issues and Developing a Strategic Christian Response (Fall 2008, revised October 2011).